Freddie Lawson as Vinnie welcomes customers to “The Speakeasy”. Photo Credit: Peter Liu. If it doesn’t, I’ll eat the vintage hat you’ll wear when you attend. Immersive theatre is the “hot new thing.” Fans will certainly be aware of the much lauded “Sleep No More,” New York’s Punchdrunk theatre’s immersive version of Macbeth. Local theatre goers may have seen any number of examples by the very fine “We, Players” from the “The Odyssey” staged on Angel Island to their remarkable version of the Scottish Play staged at Fort Point. Olivero and his team have taken the concept to new heights. 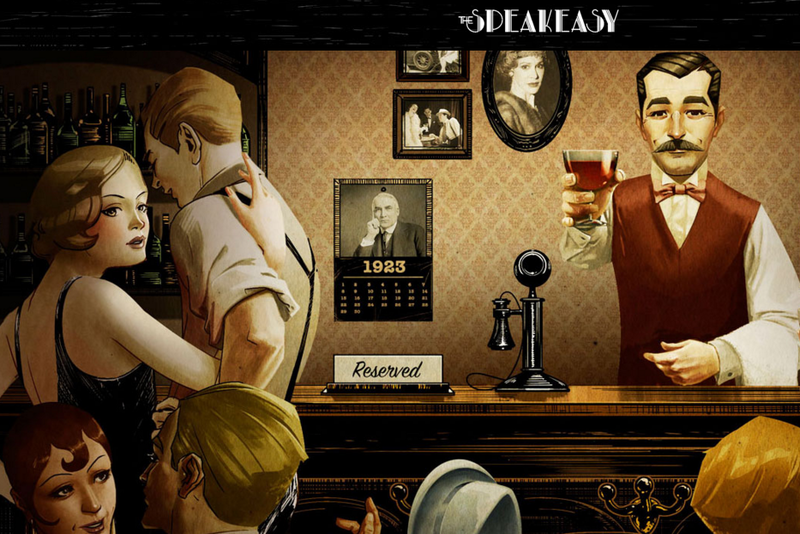 Certainly indebted to or influenced by “Sleep No More” (a cursory examination of the websites will reveal similarities in approach), ‘The Speakeasy’ is nevertheless an entirely original work of art. 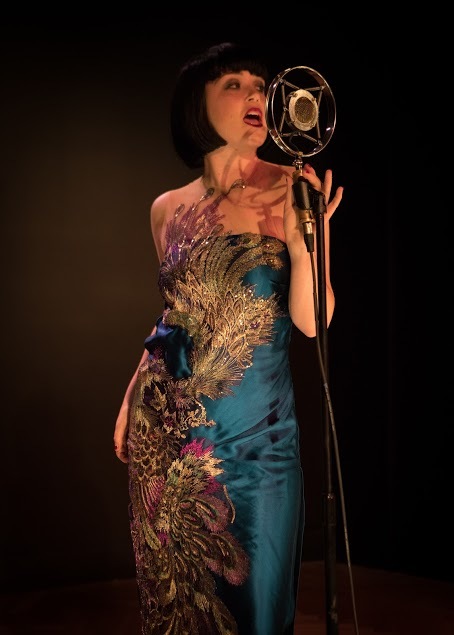 Whereas, other examples of immersive theatre have used classic scripts, or improvisation, and have placed the focus on the immersion experience at the expense of clear story lines and literary excellence, ‘The Speakeasy’ relies on a 1487 (!) page script, and requires a cast and crew of 81 persons. With a full musical score of nearly fifty numbers, and a wardrobe that includes 14 costume changes for the chorus girls alone in each performance, ‘The Speakeasy’ is more aptly compared to the most stratospheric productions of Grand Opera than other contemporary theatrical efforts. Now about that script: Bennett Fisher and Nick A. Olivero have, in effect, written several highly literate plays, mostly of one or two characters, ranging in length from perhaps five minutes to half an hour. 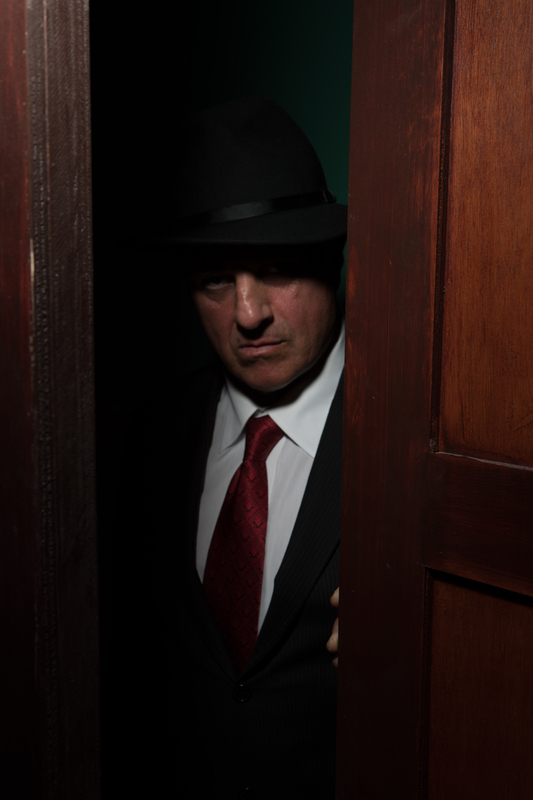 As an audience member moving through the multiple rooms of “The Speakeasy,” it is possible to follow characters to see their entire story line, or simply hang out in the various rooms to pick up pieces of various story lines in passing. The point to make here, though, is that the writing is excellent: with a focus on monologues and short two-handed scenes, it packs a lot of emotional wallop into a little bit of time and space. Two soldiers returned from World War I, one of them clearly suffering from PTSD while the other attempts to jolly him up. Their stories criss-cross with that of an older couple visiting from out of town, following up on clues to learn the true story of their own son, who was lost in the war. The history of a long and genuinely loving marriage between a gangster and a chorus girl. A classic showbiz tale of a chorus girl making good when she goes on for the star. A confrontation between that philandering star and her frustrated husband. Each of the stories encountered was engaging and beautifully acted. The illusion that we were overhearing real conversations, rather than viewing scenes of a play, was completely convincing. At one point, we found ourselves in a lounge outside the restrooms where numerous customers and cast members were seated and conversing. It was actually impossible at times to know who was the audience and who were the performers, the effect was so perfectly seamless. It would take pages and pages to begin to describe all of the details encountered (remember the script is nearly 1500 pages), but the overall effect is splendiferous. We felt more like characters in a movie than audience members at a play. I could go on and on about the details that make the space convincing, such as: vintage reproduction ceiling tiles and molding, custom built gaming tables in the casino, old fashioned telephones, vintage urinals from the 1920s in the men’s rooms (also high tank toilets), convincing lighting, and stunning period costumes. Brian Rosen and Clay David as vaudevillian masters-of-ceremony. Photo Credit: Peter Liu. 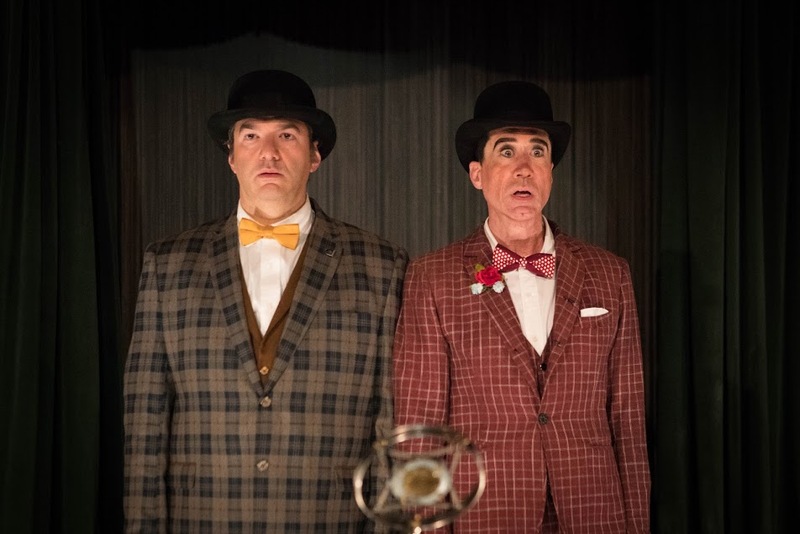 The Cabaret show which takes place in both the bar and the cabaret room is a gem in itself, featuring, in particular, the Vaudevillian-style masters-of-ceremony talents of Brian Rosen and Clay David. The troubled character of Velma is complex. Wicks is wonderful as, at different parts of the evening, she sings both brilliantly and horribly, as Velma’s moods (and degree of intoxication) shift drastically from moment to moment between highs and lows. All of the stories reflect on universal themes of the passing of time and mortality, of love and its loss, of good and evil, of highs and lows. This is not a collection of gimmicks or casual sketches; this is literature. There are no weak or secondary performances at ‘The Speakeasy.’ Every detail has been considered and polished for maximum effectiveness. ‘The Speakeasy’ is more than a play; it’s a time machine. And it’s absolutely not to be missed. The Speakeasy manifests at a secret location in North Beach, For further information, click here.